An invisible scar is something that Nazeeg knows far too well. In fact, most of her twenties she dealt with ongoing pain. Following a serious concussion injury, she spent more than six years of waking up and falling asleep with throbbing headaches and many other symptoms. Words cannot describe the emotional rollercoaster that came along with her experience. Today, the creator of Invisible Scar is symptom free and living her best life. She has agreed to share her story with us. 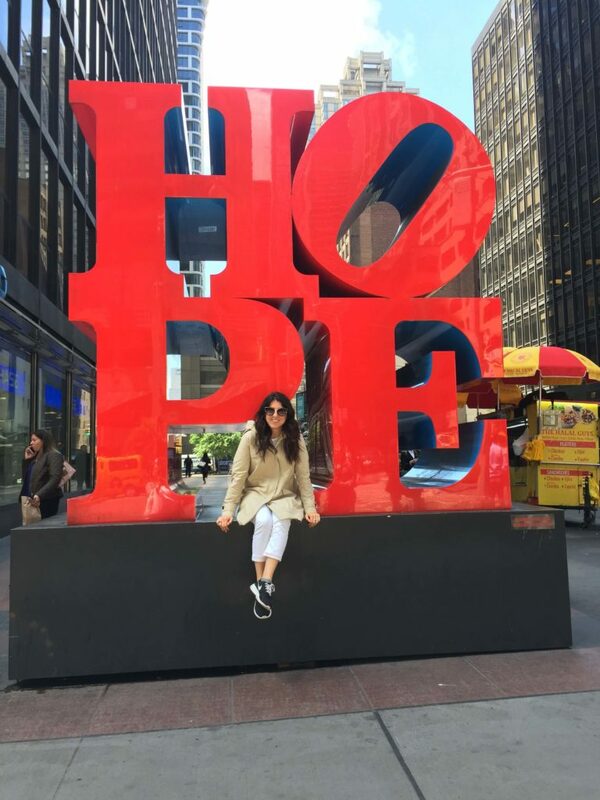 In 2012, Nazeeg went to Armenia for a volunteer vacation with her Youth Group. What was supposed to be a cultural and charitable experience with local Armenian children, turned out to be a life-changing two weeks. But, not for the reasons she expected. On the second day of her trip, she fainted, fell and hit her head on a marble slab. She spent the initial days dealing with headaches, but didn’t know that she had suffered a concussion. Her sister saw her a few days later, and noticed something was seriously wrong. Nazeeg appeared pale. Her balance was off. She acted differently. When Nazeeg returned to Canada three and a half weeks later, doctors ordered a CT scan and MRI. They explored the possibility of brain swelling and bruising due to the high impact of the fall. Fortunately, both tests came back negative. However, she was diagnosed with a severe concussion. She experienced many symptoms daily. Throbbing headache. Light and noise sensitivity. Light-headedness. Dizziness. Blurred vision. Seeing spots. Ringing ears. Balance issues and incoordination. Fatigue. Weakness. Nausea. More emotional. When Nazeeg was diagnosed, she was in her third year of university and had big dreams. She thought the trip to Armenia would be a chance to learn and understand the country and culture. Perhaps it was where she would pursue a career after graduation. Her diagnosis brought her dreams to a screeching halt. To make matters worse, the prescribed approach to concussion recovery was even more limiting. Strict bed rest in a dark room. No phone. No reading. No social interactions. No television. Absolutely no stimulation to the brain. This was very hard to accept. She had to pause everything. Her job, volunteer work, and most importantly, her education. Fourth year university was put on hold. It felt like a very dark place – figuratively and literally. It felt like her world stopped. She was referred to a number of different family doctors, sports medicine physicians and neurologists, and the approach remained the same throughout her concussion recovery. Complete rest. There were also restrictions on her activity – even the number of hours she could talk to people each day was limited. This was the case for eight months. And, her doctors said that it was a severe injury that needed time to heal. They said it would be about two to three years until she would be symptom free. Eat. Rest. Sleep. Repeat. Day in. Day out. Nazeeg always leaned on her family and friends for support. But, some people weren’t as understanding. 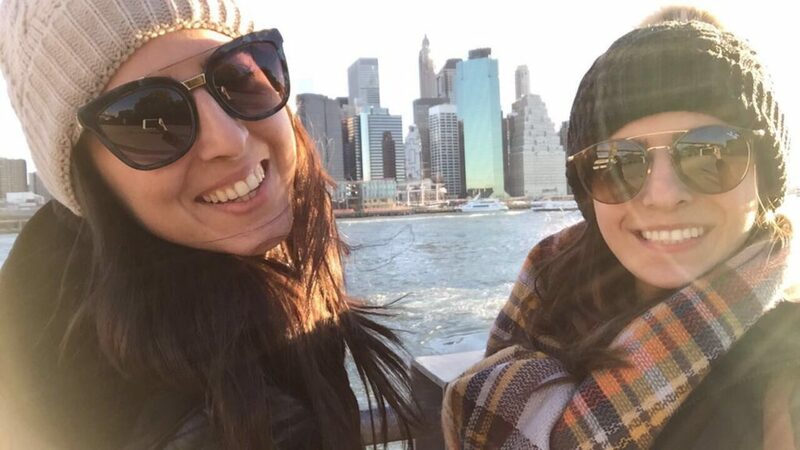 About three months after her injury, she went out publicly for the first time to her cousin’s birthday. The whole experience was challenging. She felt disoriented, nauseous and had a throbbing headache. The lights, noise and stimulation made things worse. Some people accused her that it was all in her head. For Nazeeg, it was very hard to hear. Although she was smiling on the outside, the pain on the inside was unbearable. Unfortunately, that’s the reality then and even today. Many people are still unaware of how a concussion can impact every aspect of someone’s life. It’s difficult to describe the pain without being able to show it and the subsequent impact it has on someone’s life and plans. She describes her injury as an invisible journey – an invisible pain. It was an invisible scar. People don’t see what’s happening on the inside, but it can be a big challenge for those dealing with concussion symptoms – physically, mentally and emotionally. Nazeeg describes her concussion as a big challenge. It was hard to accept but she was determined to overcome it. For the first year and a half, she was unable to talk to people about her accident, injury and pain without it resulting in tears. It was like her world was falling apart. She was very private about her experience. She did not want the concussion to define her. Despite the suffering, she did her best to stay positive and move forward with her life. 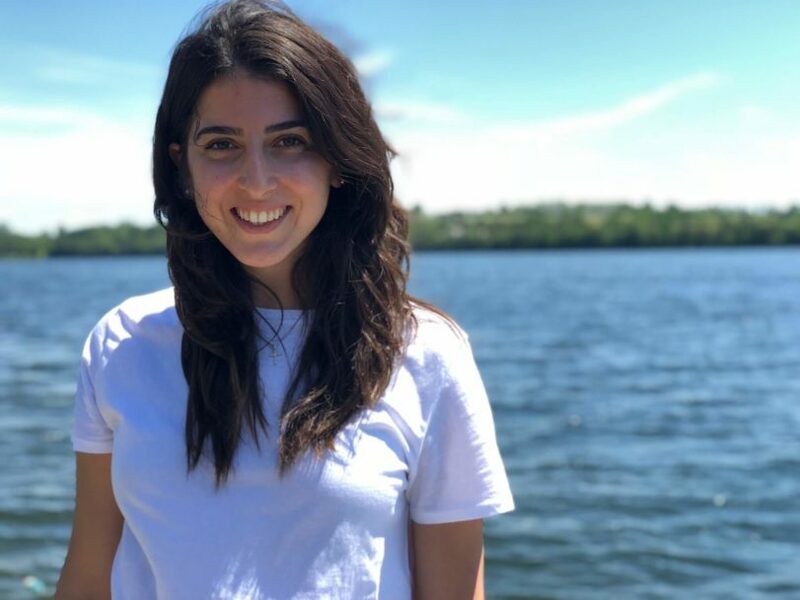 She put her smile on and started her fourth year of university in pain, but managed to complete the year with honours despite dealing with ongoing headaches, fatigue and many of the other symptoms. During her concussion recovery, the symptoms of concussion put Nazeeg in dangerous situations. Her balance and incoordination made her susceptible to further injury. In fact, she hit her head on several occasions, which were later diagnosed as additional concussions, resulting in prolonged symptoms. She saw many healthcare practitioners throughout her concussion recovery. The overall consensus for nearly six years was bed rest. It was very limiting. She found it so disappointing that despite many medical opinions and recommendations, she never felt better. She’d get a little bit of relief from rest, but she would never feel normal. Never 100 per cent. Even though Nazeeg was told she would have to learn to live with her symptoms, her sister looked for more options. Her sister was her guardian angel. Always pushing her to try new things to get better. She inspired Nazeeg to never give up. To have hope and faith, and believe that it would get better. They eventually found Complete Concussion Management, and booked an appointment for Nazeeg. She was not very optimistic at first. After hearing from her doctors that this was a permanent condition, it was difficult to get excited. She didn’t want a false sense of hope. Nazeeg underwent a thorough assessment at her first appointment. The Complete Concussion Management provider, Dr. Marshall, asked about her medical history, how the injury was managed previously, what symptoms she experienced and much more. During this first appointment, Nazeeg learned about all the factors that could cause symptoms and impact recovery. She learned about all the systems and pillars involved. She learned about the available treatments and rehabilitative options, which included exercise therapy, cervical spine rehabilitation, vestibular and visual rehabilitation, diet and nutritional interventions, and more. Notably, she was educated on concussions and the overall impact they can have on the body and mind. She left the appointment with a sense of relief. She found out there was more to concussion recovery. It was very different than previous approaches. It sounded promising. In hindsight, over the years these were the problems that remained consistent. She always suffered from blurry or fuzzy vision. She was unable to turn her neck to the left side. Dr. Marshall explained that these other secondary issues were causing many of her concussion-like symptoms. Problems with the neck and visual issues can lead to headaches, incoordination, motion sensitivity and much more. Many of the exact same symptoms of concussion. She was told that if these problem areas were treated, her symptoms should go away. After three treatments, mainly focusing on her vestibular and visual system, and cervical spine (or neck), Nazeeg was fully discharged with no more symptoms. Today, she feels great. She describes her discharge date as the most important day of her life. After thinking that she that she would never live a life without pain, it was the first time in a long time that she had absolutely no symptoms. Her headaches disappeared. There was no more pounding. It was the first time in six years where she had no tenseness in her neck. 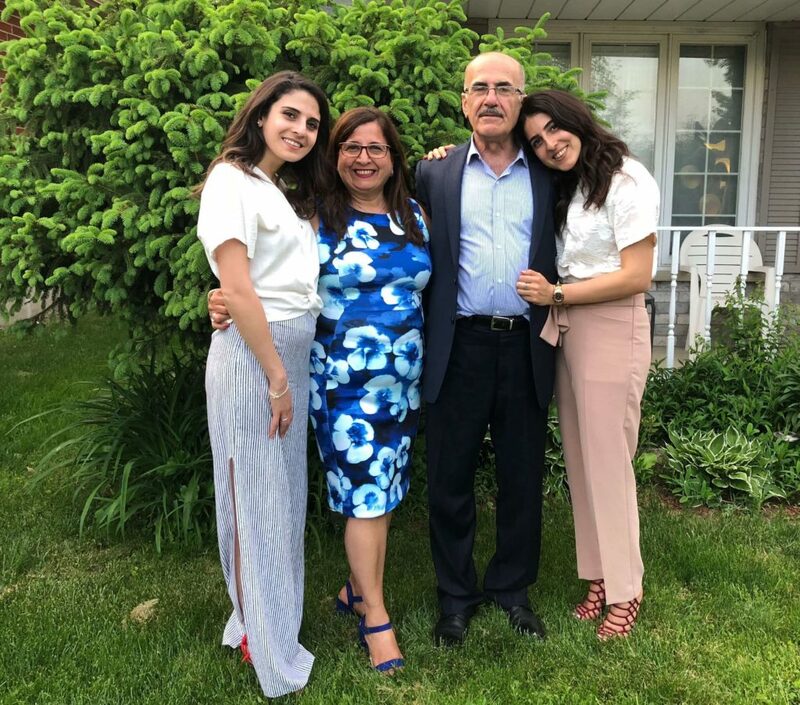 Nazeeg has since been accepted into the University of Toronto’s Rotman business school to pursue her MBA a mere two months after being discharged from care! When Nazeeg was labelled with post-concussion syndrome, she felt disadvantaged. Her concussion took a physical, mental and emotional toll on every aspect of her life. It can be a dark place. It can be easy to lose hope. The good news is that concussion management is evolving every day. While rest is recommended in the acute phase (24 to 48 hours), it is no longer considered the best approach to recovery. In fact, prolonged rest can actually make concussion symptoms worse. Nazeeg’s advice for others is to keep your loved ones close, look at all the options, and never give up hope. Rest may not be the answer. Seek different methods. Research shows that early intervention of various therapies can significantly improve recovery. It’s important to find a licensed healthcare practitioner with training in concussion to develop a personalized approach for you. Complete Concussion Management has made every effort to ensure that the information was correct at the time of publication. The article is based on an in-depth interview with Nazeeg in which she detailed her personal experience. We have Nazeeg’s permission to publish this article.